Didn’t find the specs you were looking for? No problem! Give us a call now! No matter the condition and the desired volume, Farm Water is here to support! Professional water treatment services at your disposal. Ozonated water treatment oxidizing contaminants at the highest levels without the use of chemicals, no on-going chemicals needed! 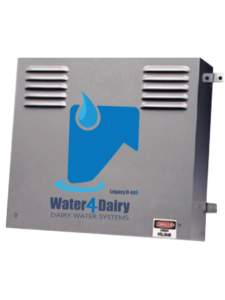 Quality components plus superior design equals one of the best high volume, natural water treatment systems in the agricultural markets today. Day or night we are here to make sure your water treatment systems are working at peak performance. Not all water sources are created equal and your water is the first place you should look when your stock are fatigued and under-producing. Remember, water is the most important nutrient. We’re committed to supplying naturally treated water systems for your farm’s needs. Over the years our systems have successfully treated over 4,000,000,000 litres of water without the use of chemicals. For approximately 884,000,000 people clean drinking water is not an option, check out FarmWater’s very own foundation to see how we’re helping those who need it most. © Copyright 2010 by FarmWater. All rights reserved.